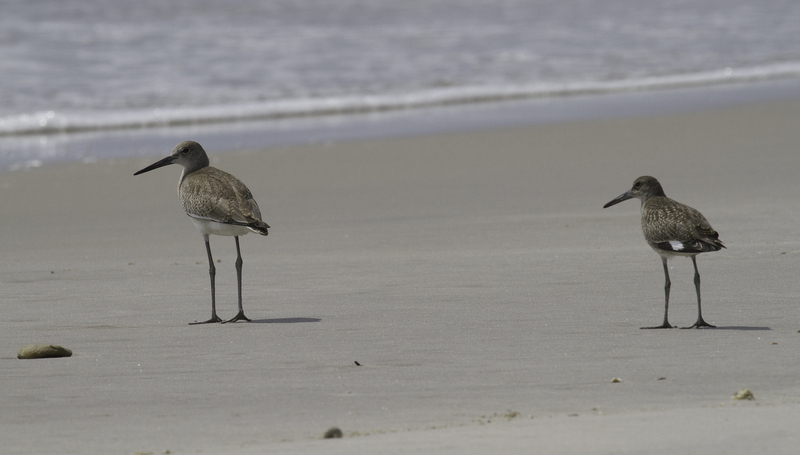 August in Maryland. 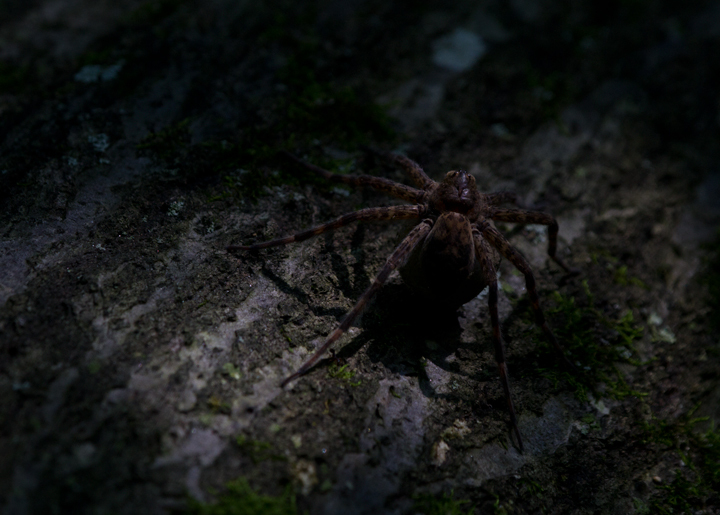 Last updated: 8/22/2011. All parents embarass their kids. 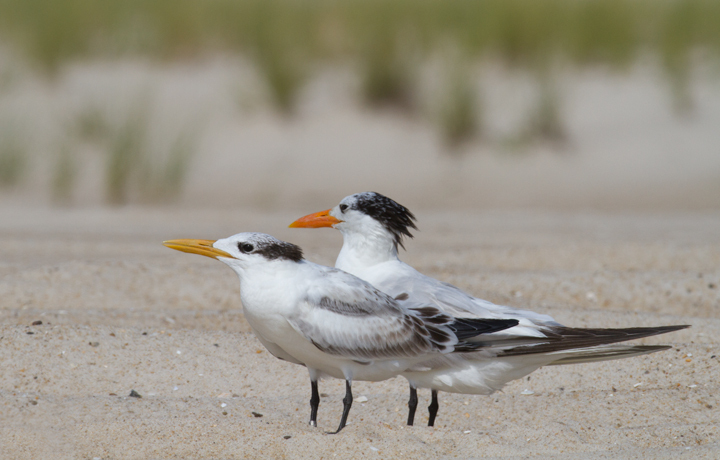 Adult and juvenile Royal Terns loafing on the beach at the end of summer (Assateague Island, Maryland, 8/21/2011). 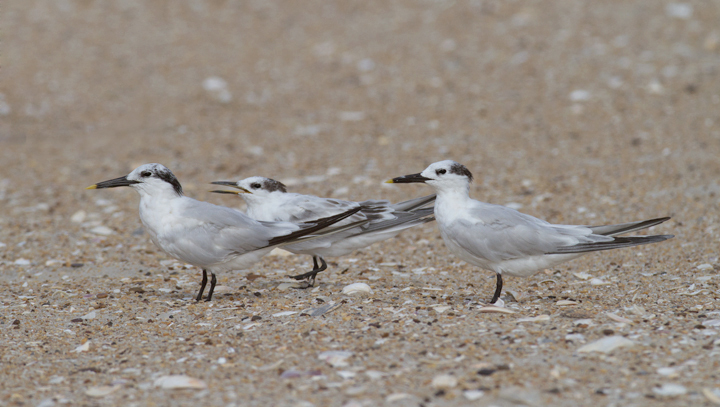 Below: Sandwich Terns on Assateague Island, Maryland (8/21/2011). 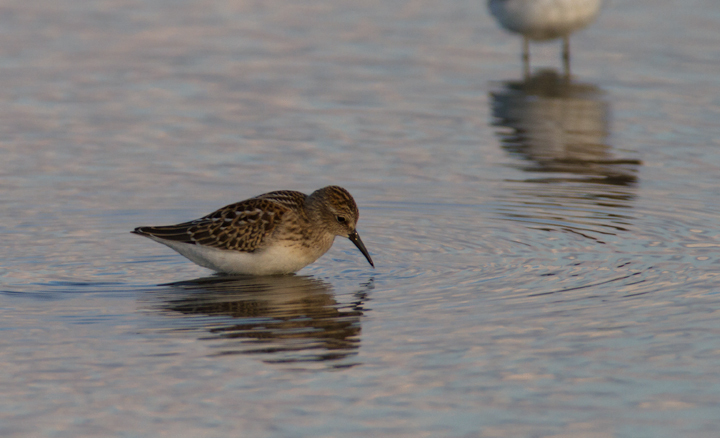 Juvenile in the middle of the first photo. 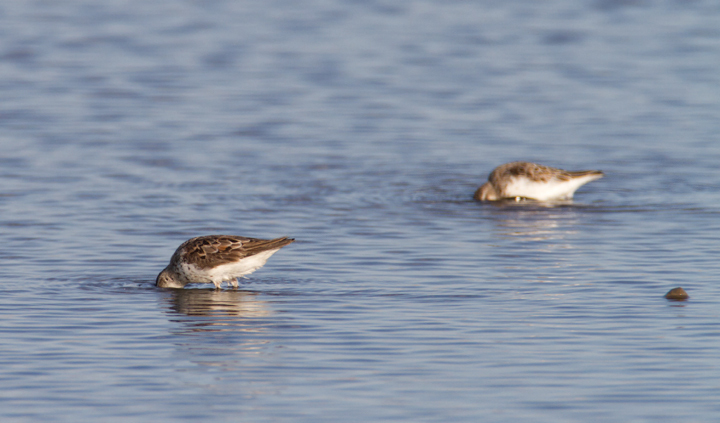 Below: Western Sandpipers at Swan Creek, Anne Arundel Co., Maryland (8/10 and 8/11/2011). 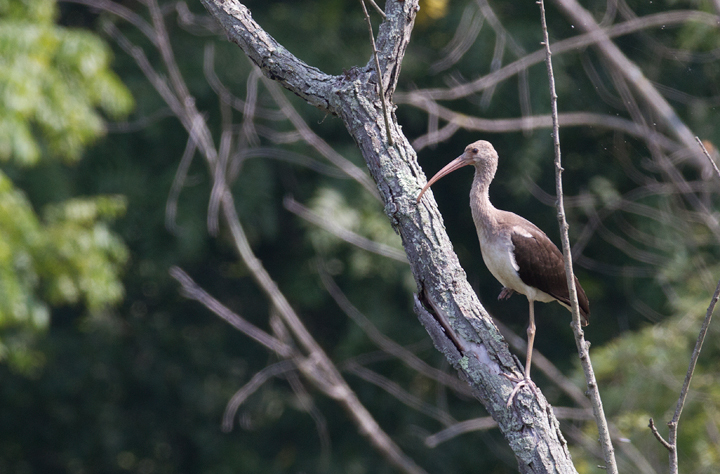 Below: A White Ibis at Lilypons Water Gardens, Frederick Co., Maryland (8/7/2011). 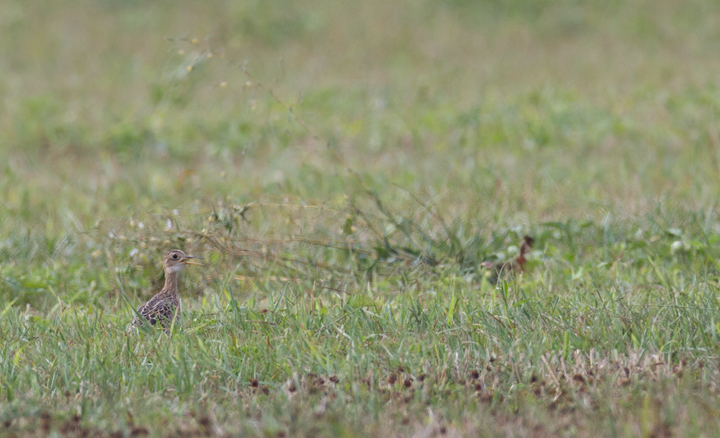 Below: A distant Upland Sandpiper pants in the heat of the afternoon sun - Frederick Co., Maryland (8/7/2011). 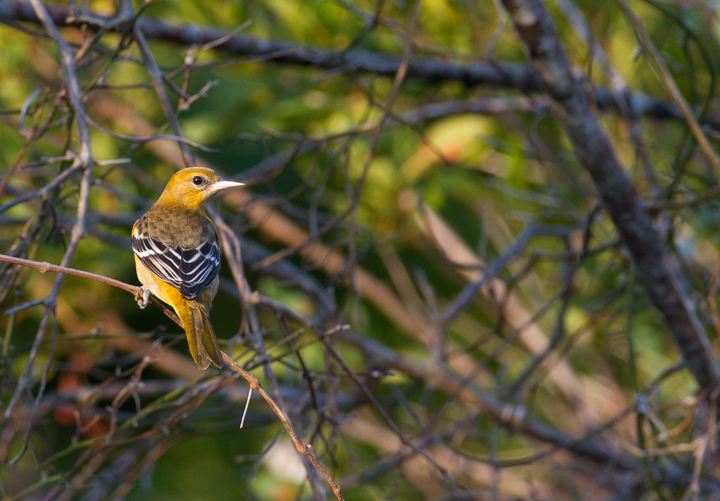 Below: Baltimore Orioles were the most conspicuous migrants on an 8/21 visit to Assateague Island (8/21/2011). 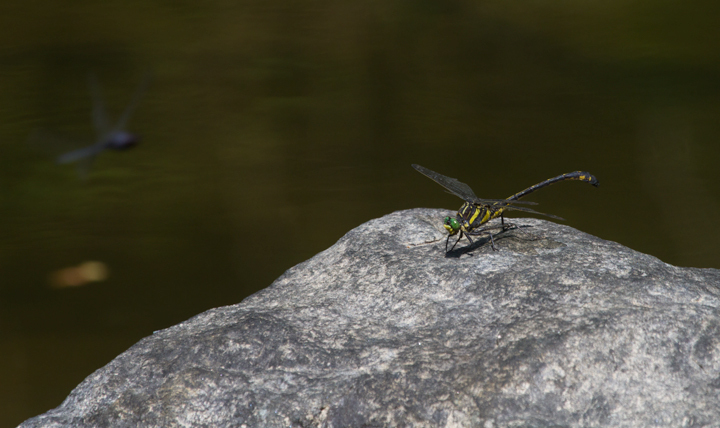 Below: A Dragonhunter - the monster, dragonfly-eating dragonfly - in Carroll Co., Maryland (8/20/2011). 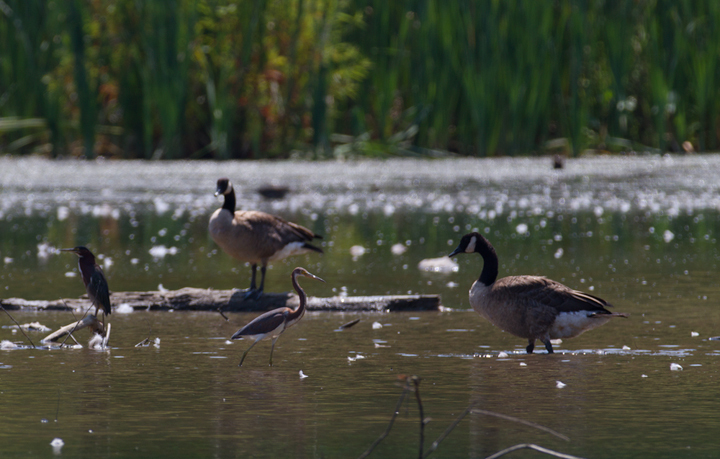 Below: A Tricolored Heron at Piney Run Reservoir, Carroll Co., Maryland (8/20/2011). 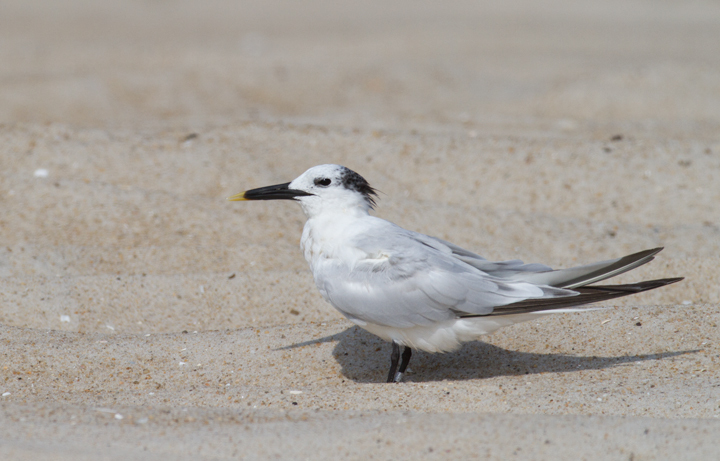 Found by Ron Gutberlet, this is one of Maryland's few records away from the coastal plain 8/20/2011). 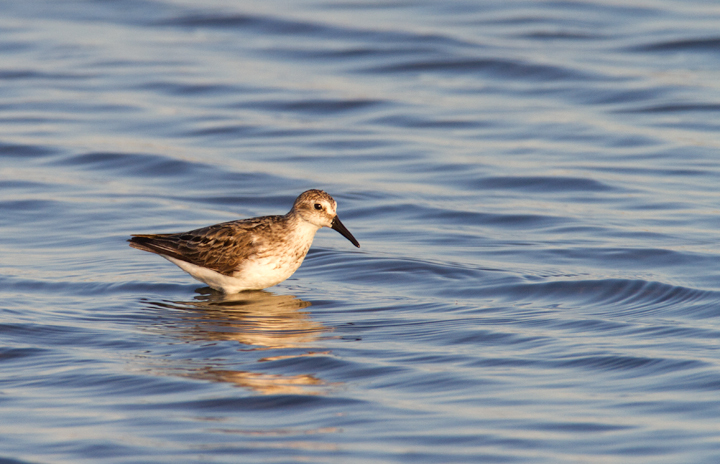 Below: Adult Semipalmated Sandpiper at Swan Creek, Anne Arundel Co., Maryland (8/10/2011). 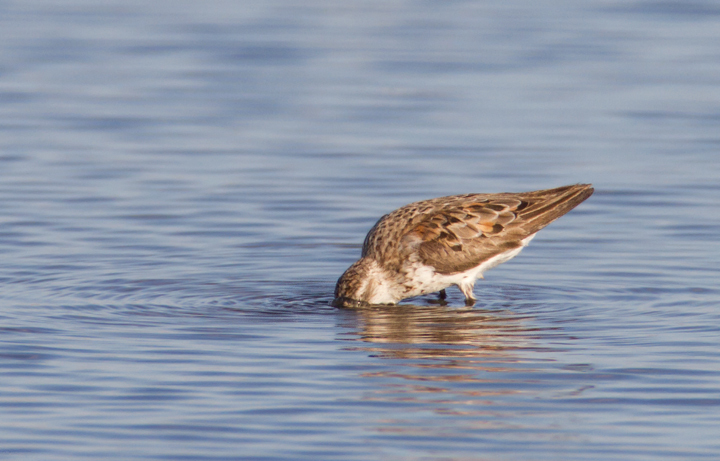 I think the second bird looks long- and stout-billed because it just pulled its head out of the water. 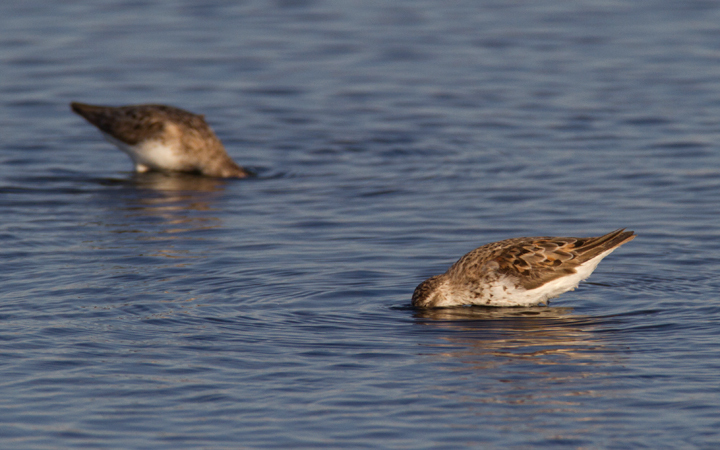 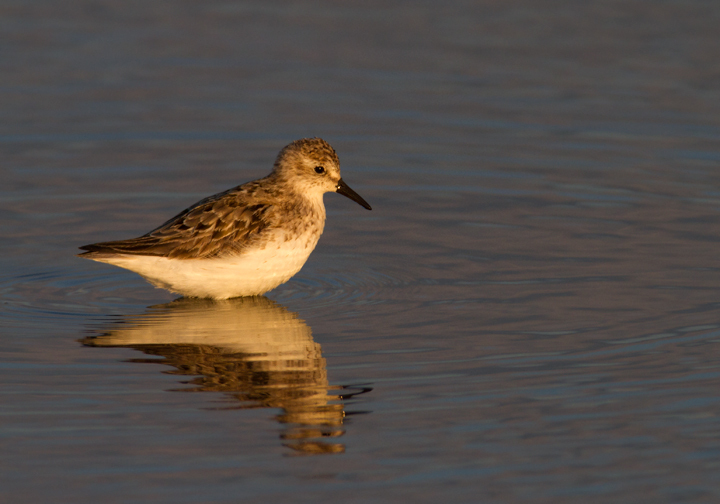 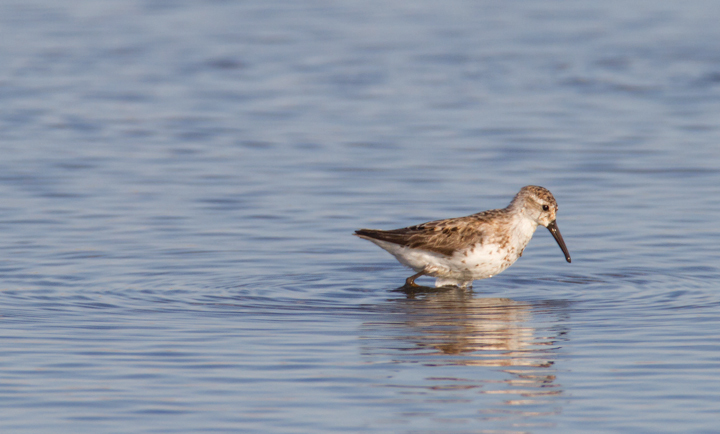 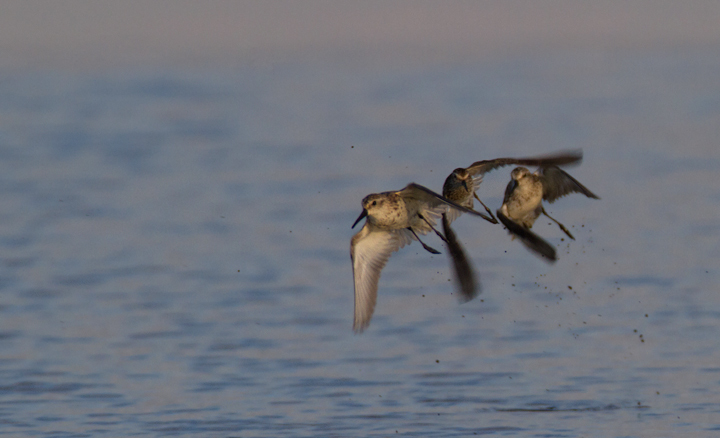 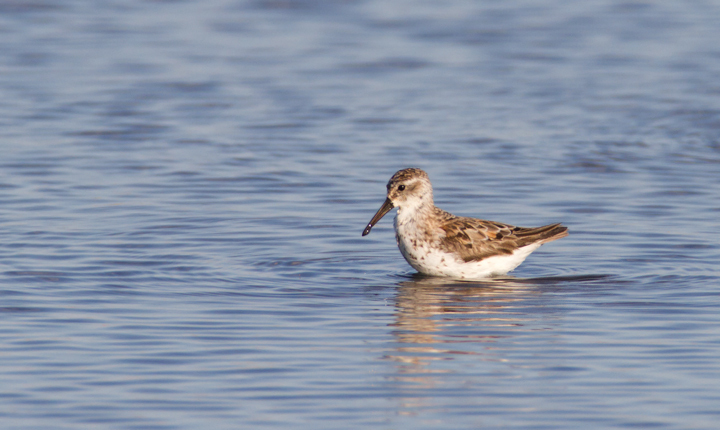 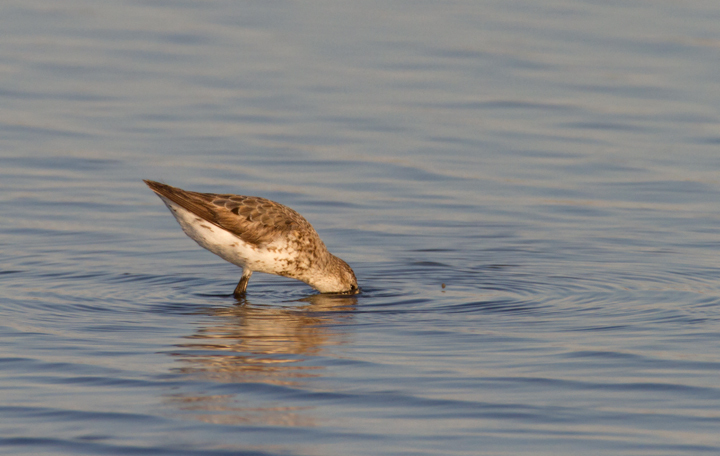 Below: Juvenile Semipalmated Sandpipers at Swan Creek, Maryland (8/10 and 8/11/2011). 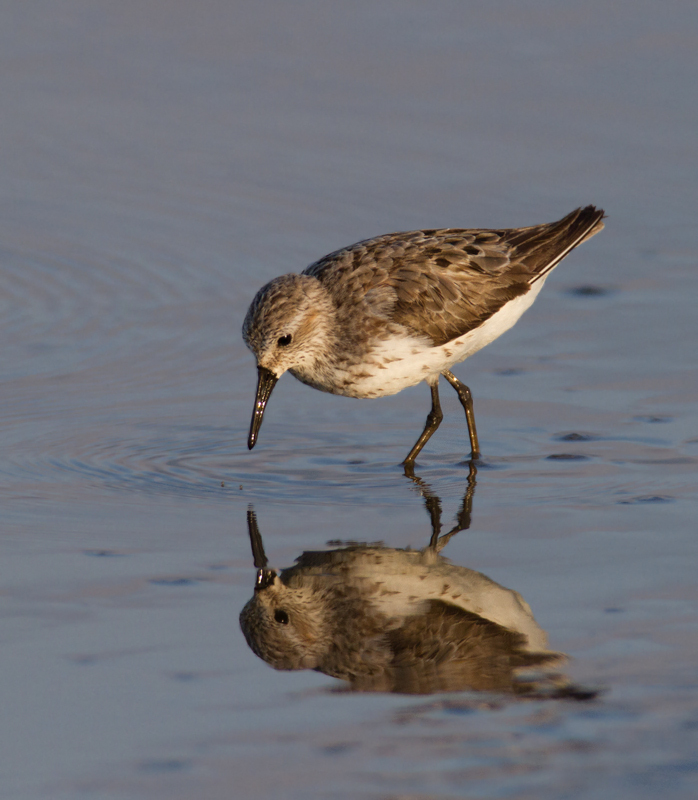 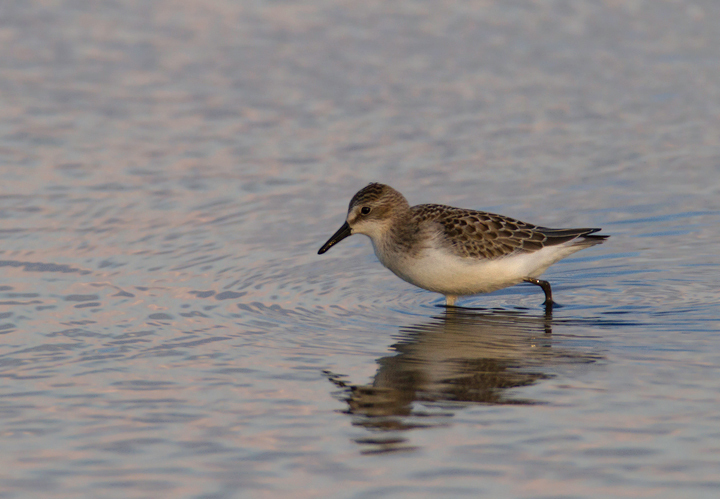 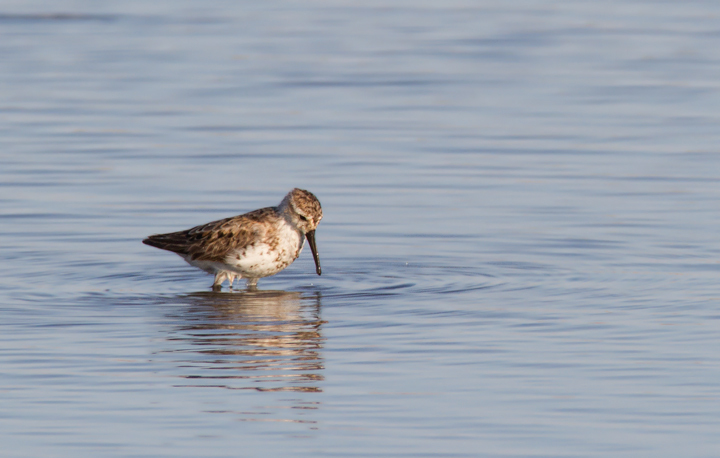 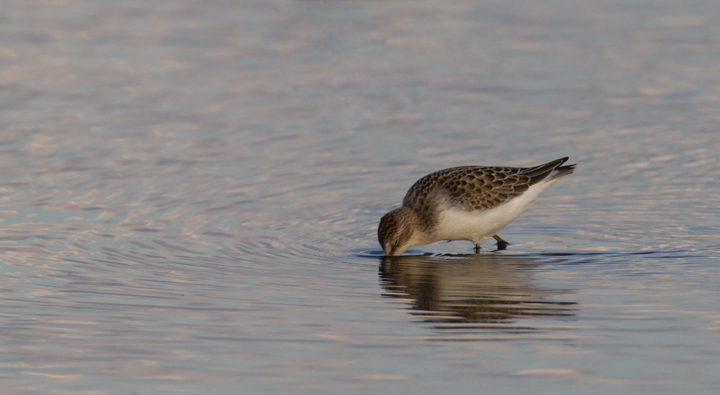 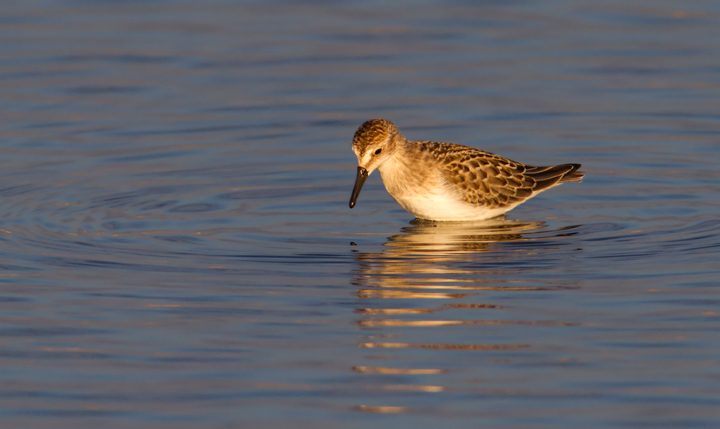 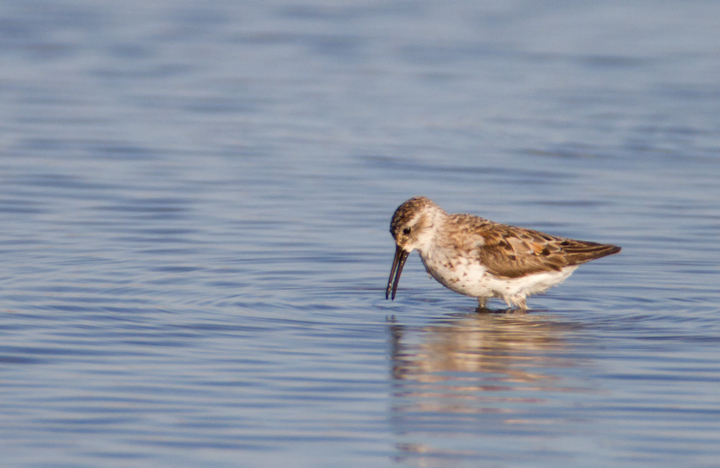 Below: A juvenile Least Sandpiper at Swan Creek, Maryland (8/10/2011). 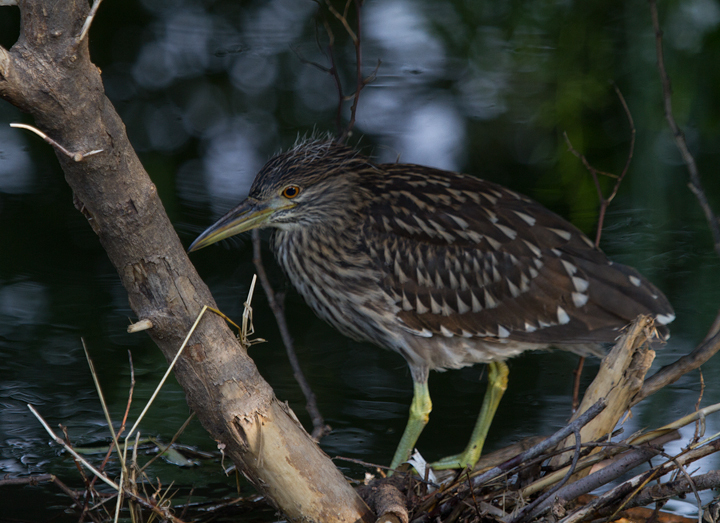 Below: A juvenile Black-crowned Night-Heron in Frederick, Maryland (8/7/2011). 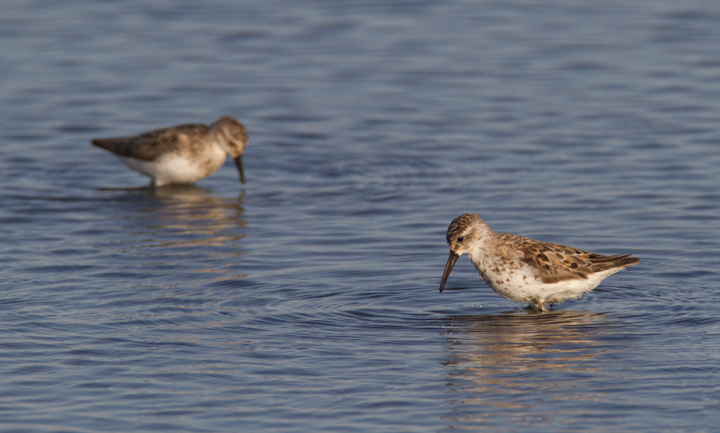 Note the downy feathers on its head. 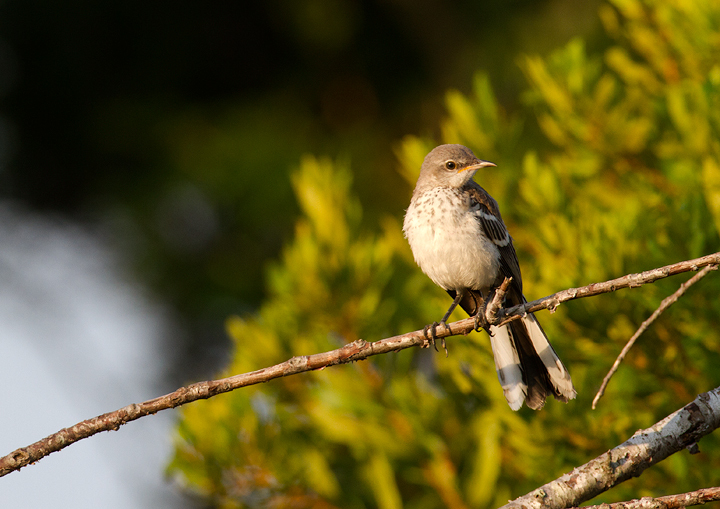 Below: A juvenile Northern Mockingbird born this summer on Assateague Island, Maryland (8/21/2011). 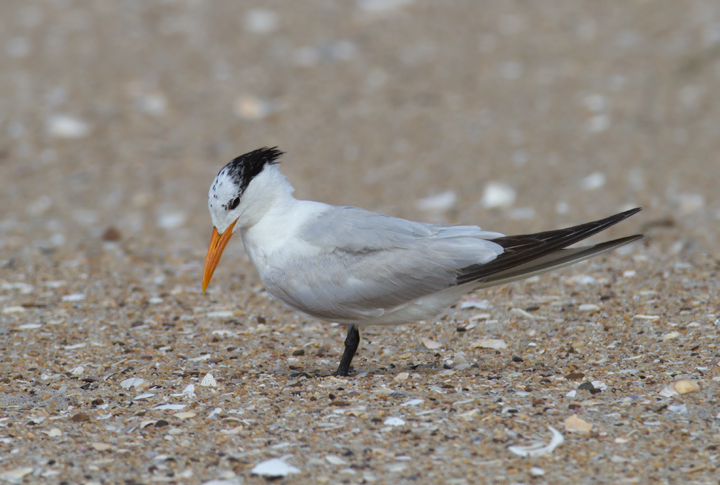 The sounds of its childhood are Royal Terns and Boat-tailed Grackles. 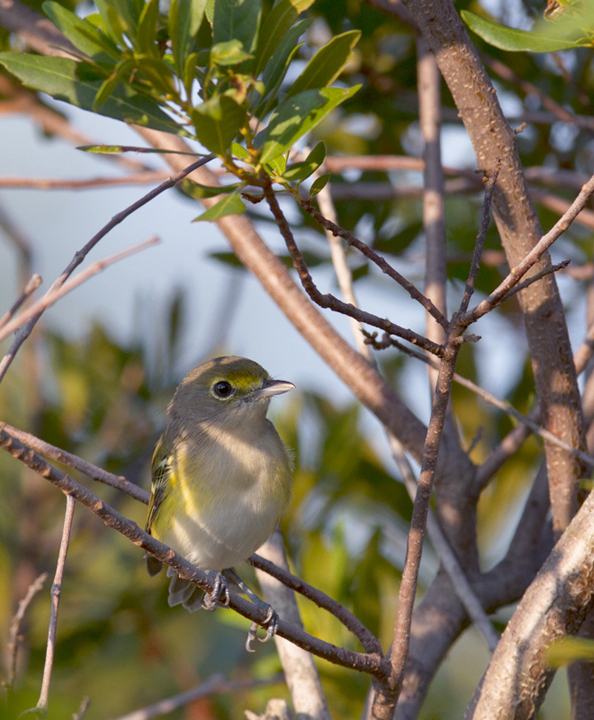 It has never heard a Tufted Titmouse. 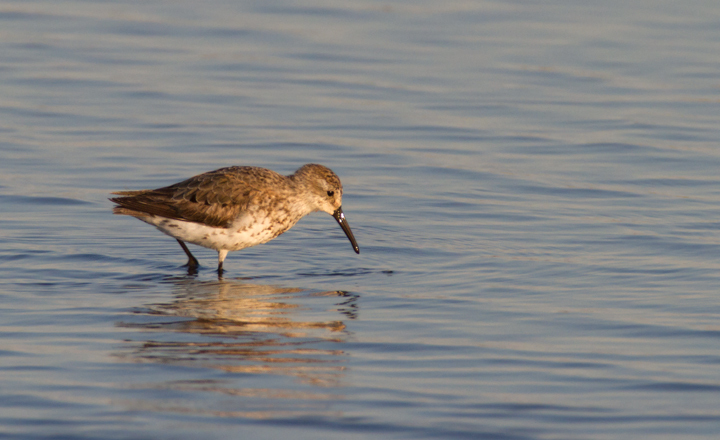 Note the breast spotting and light-colored lower mandible. 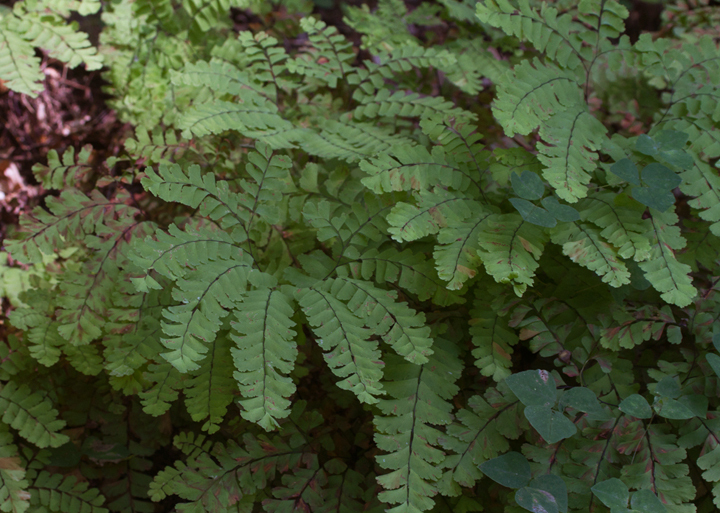 Below: Maidenhair Fern (Adiantum pedatum) near Liberty Reservoir, Baltimore Co., Maryland (8/20/2011). 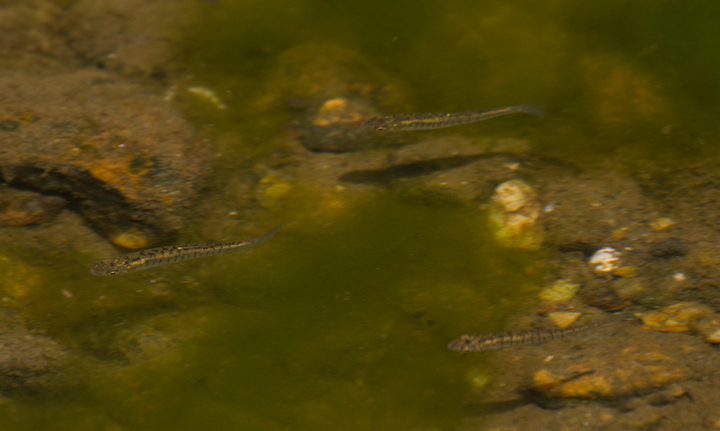 Below: Eastern Banded Killifish in Carroll Co., Maryland (8/20/2011). 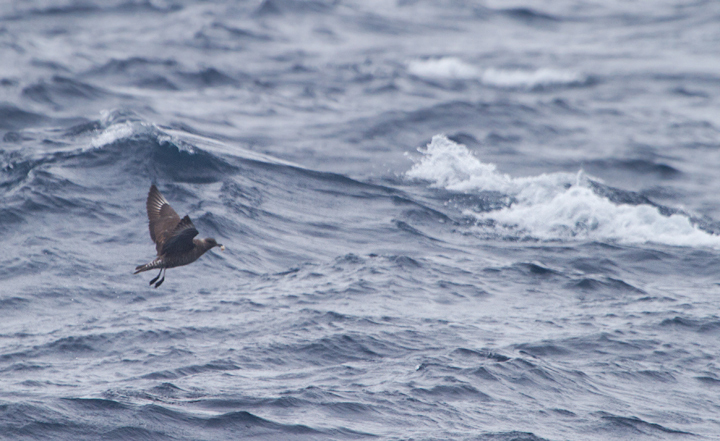 Below: A Pomarine Jaeger far at sea in Maryland waters (8/14/2011). 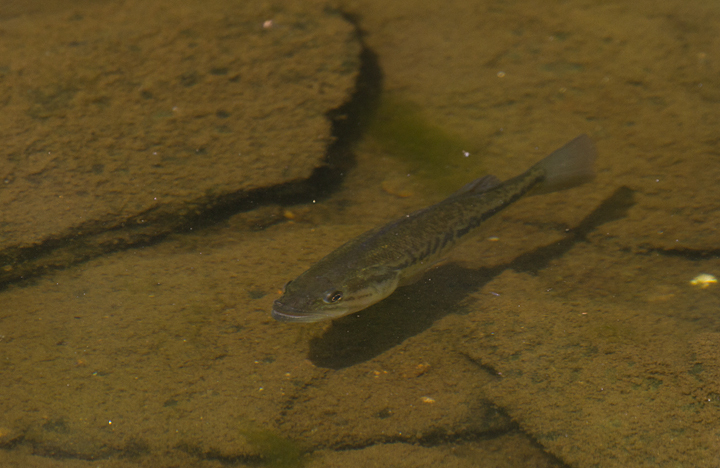 Below: A Largemouth Bass stalks the shallows near Liberty Reservoir, Maryland (8/20/2011). 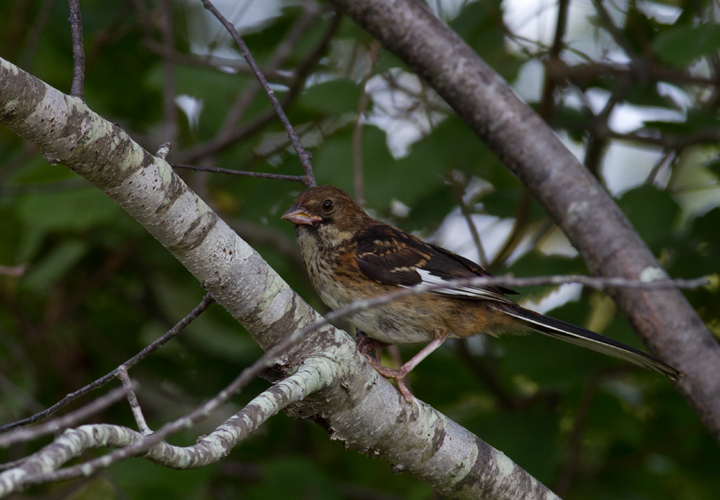 Below: A juvenile Eastern Towhee on Assateague Island, Maryland (8/21/2011). 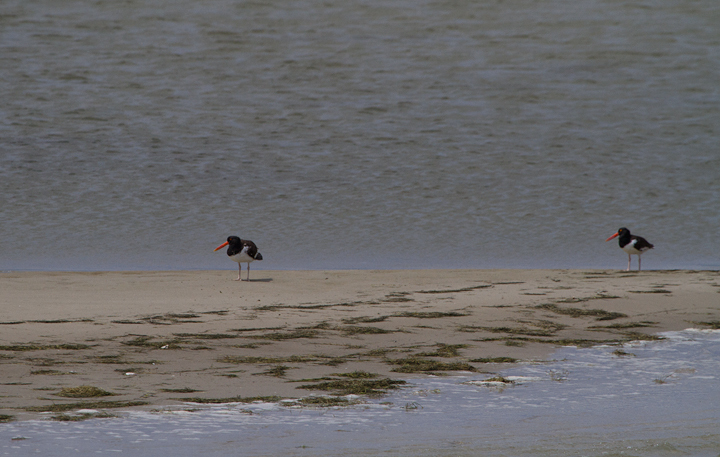 Below: American Oystercatchers on a sandbar off Smith Island, Somerset Co., Maryland (8/6/2011). 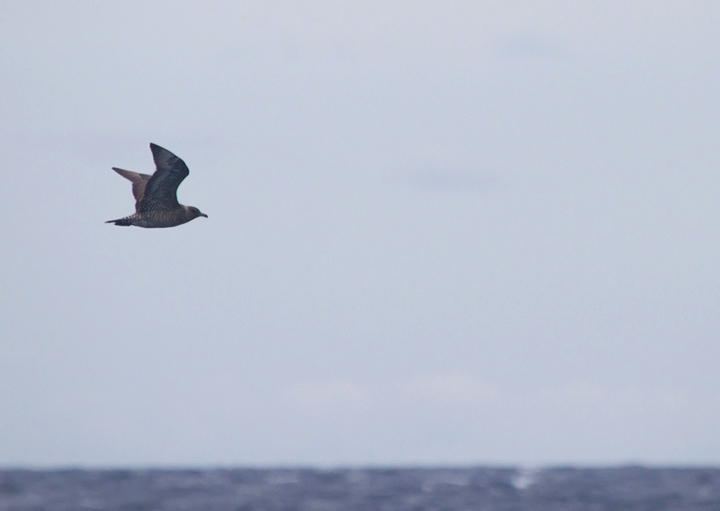 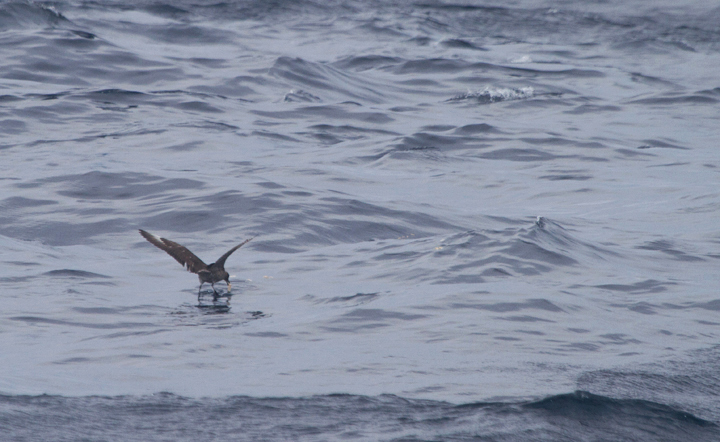 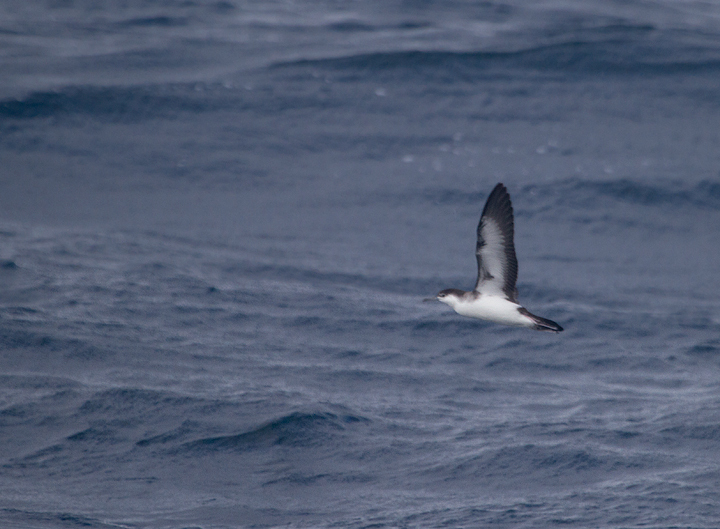 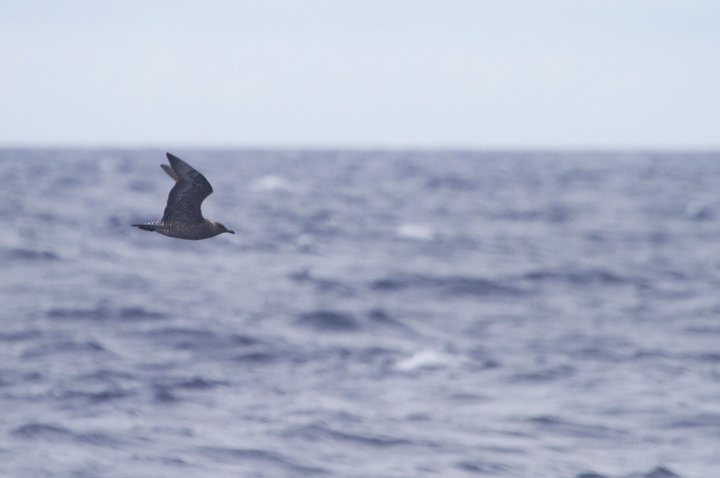 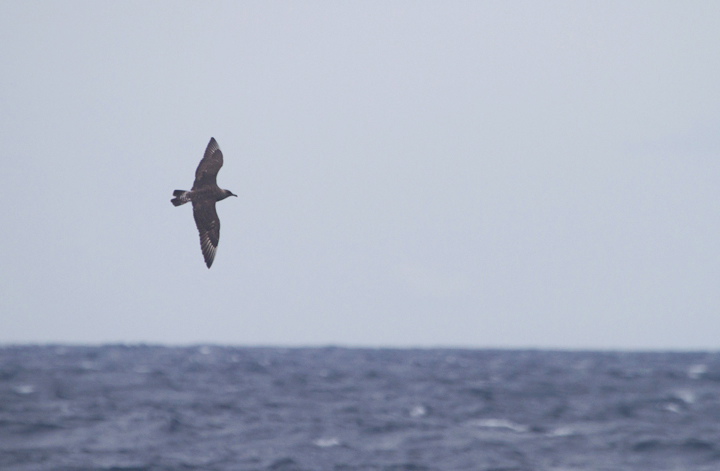 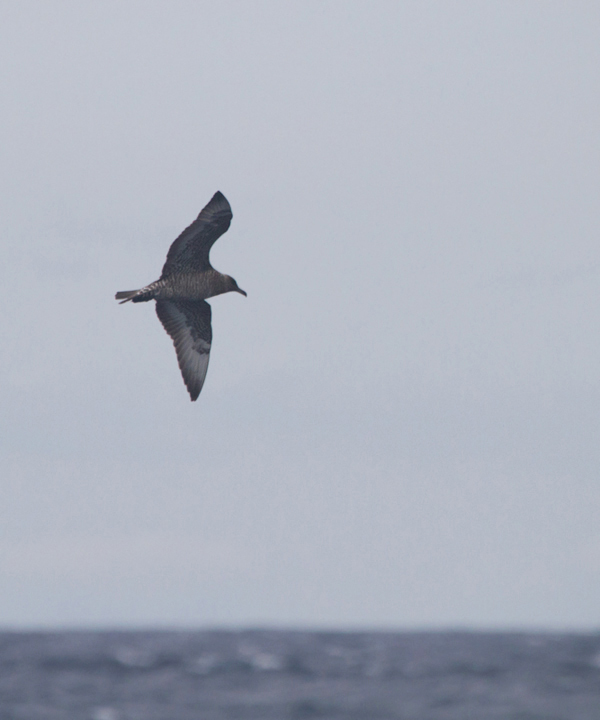 Below: A cooperative Audubon's Shearwater in Maryland waters (8/14/2011). 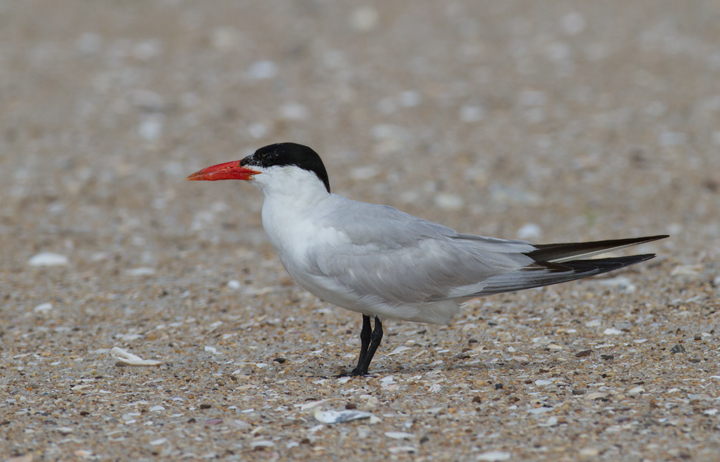 Below: An adult Caspian Tern roosting on Assateague Island, Maryland (8/21/2011). 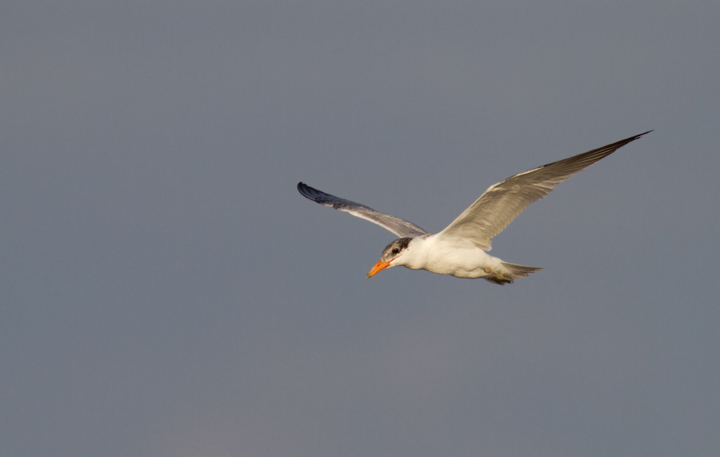 Below: An immature Caspian Tern foraging at Swan Creek, Maryland (8/10/2011). 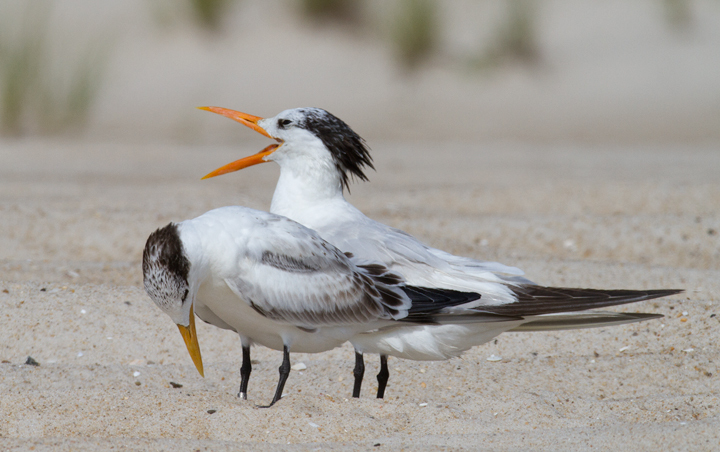 Below: A Royal Tern on Assateague Island, Maryland (8/21/2011). 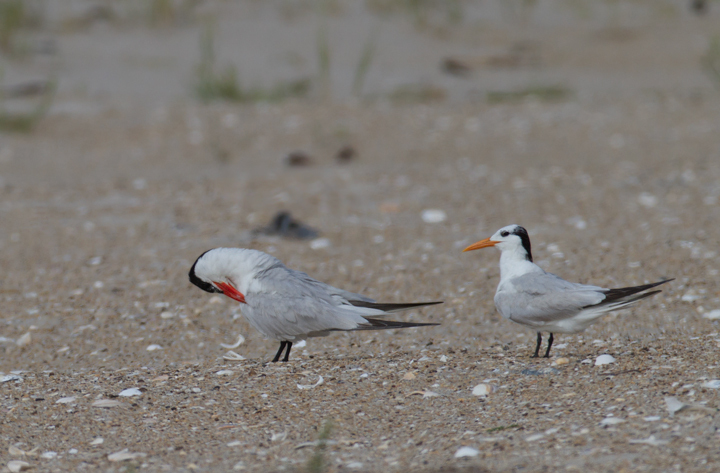 Below: A Caspian Tern (left) and Royal Tern (right) on Assateague Island, Maryland (8/21/2011). 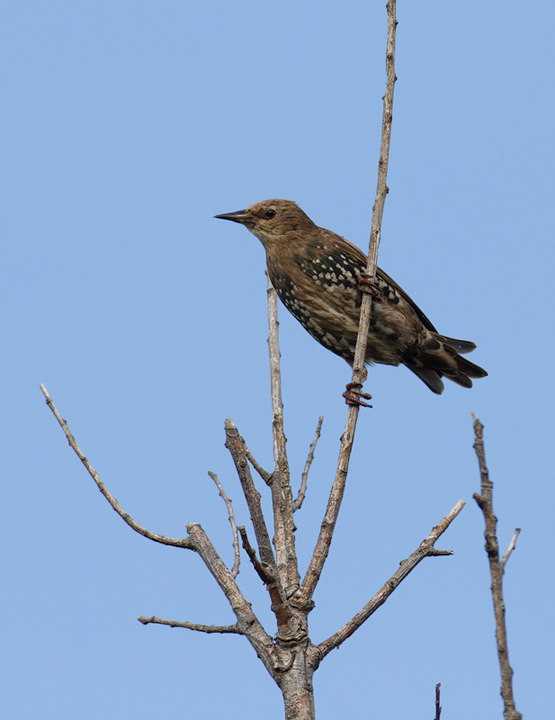 Below: A juvenile European Starling on Assateague Island, Maryland (8/21/2011). 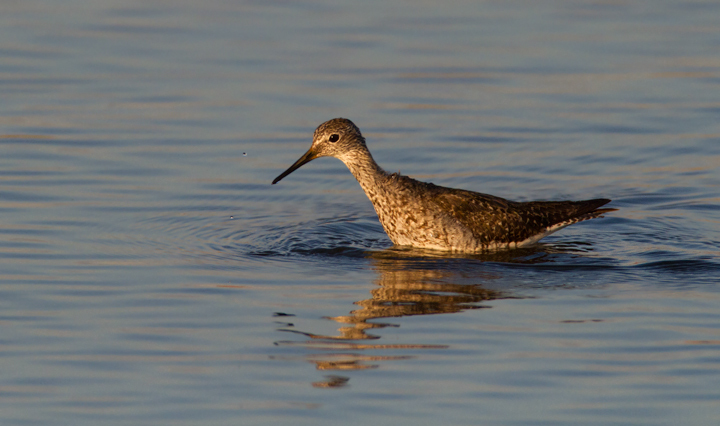 Below: A Lesser Yellowlegs at Swan Creek, Anne Arundel Co., Maryland (8/10/2011). 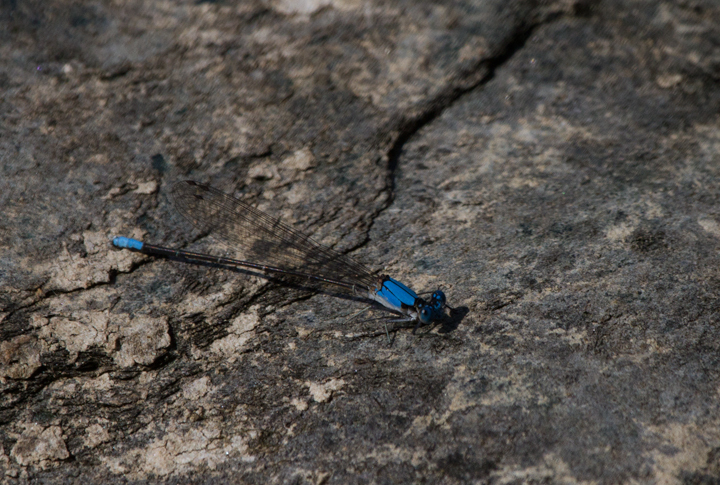 Below: A Blue-fronted Dancer near Liberty Reservoir, Maryland (8/20/2011). 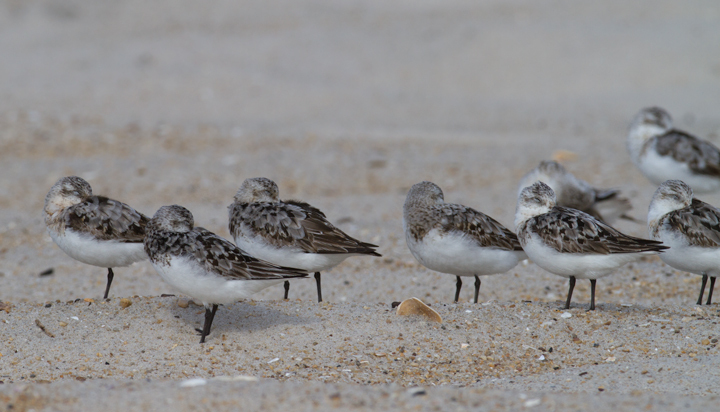 Below: Sanderlings on the ORV zone of Assateague Island, Maryland (8/21/2011). 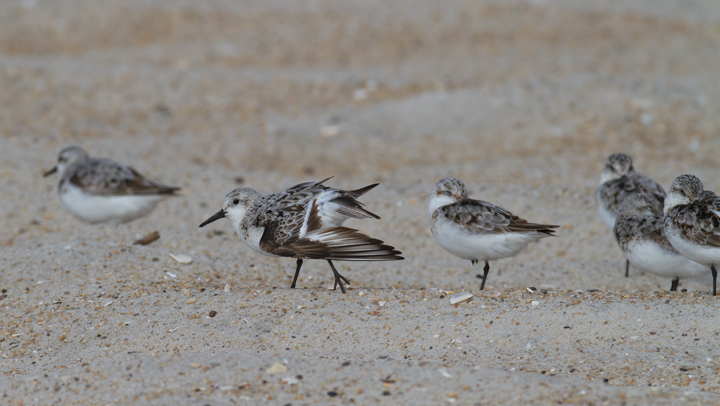 John Hubbell clicked each individual and recorded an impressive 2,625 Sanderlings..
Below: A dark-eyed juvenile White-eyed Vireo on Assateague Island, Maryland (8/21/2011). 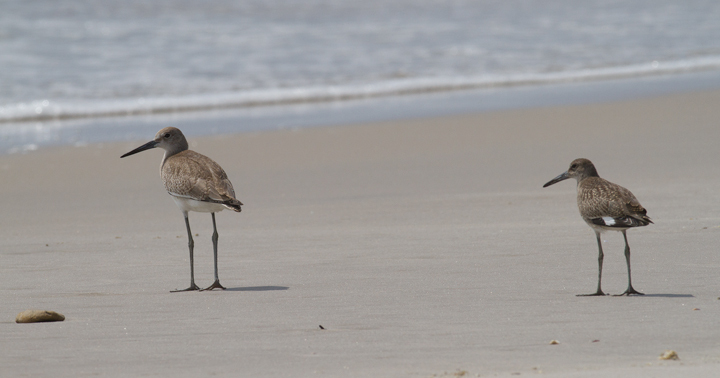 Below: Comparisons of Eastern and Western Willet (sub)species on Assateague Island, Maryland (8/21/2011). 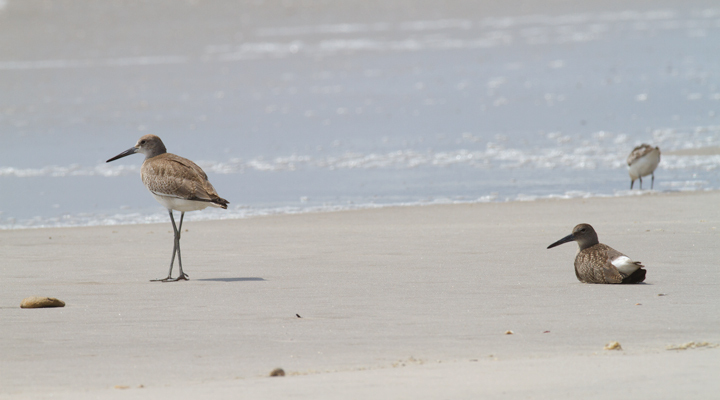 Note the obvious difference in shape and overall height! 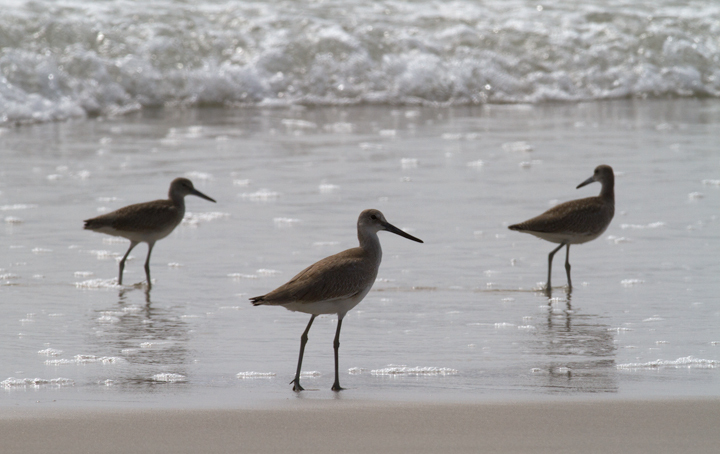 By this date, Western Willet is the far more numerous Willet species in our area. 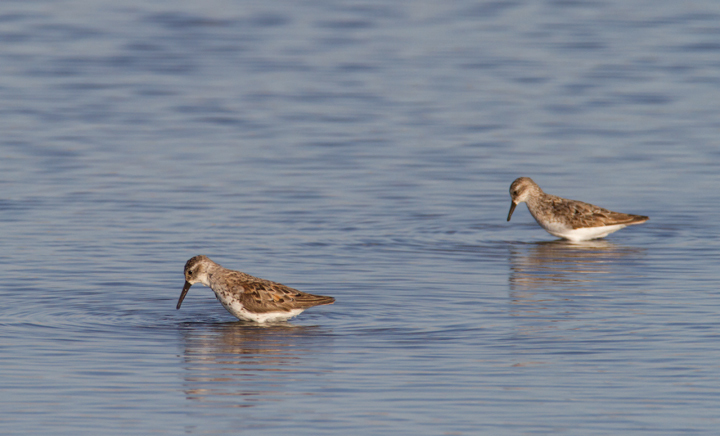 That (sub)species is grayer, larger, and decidedly more godwit-like than Eastern.